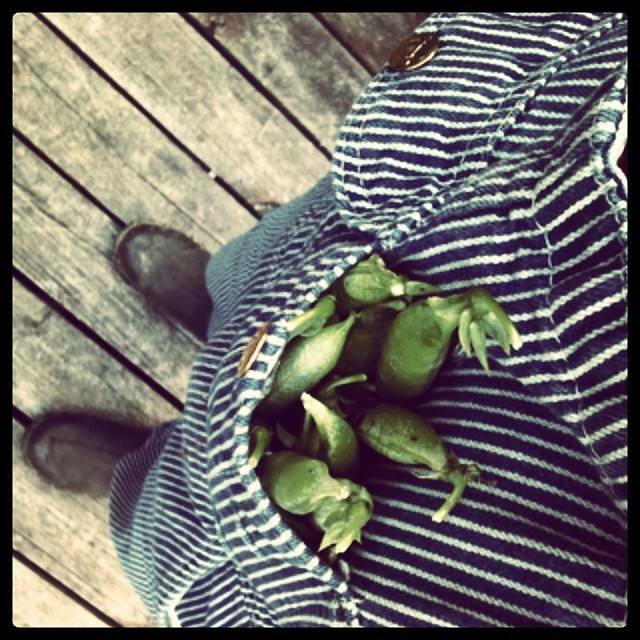 This farming-in-the-woods, full-time dyer and marketing coordinator, part-time freelance writer/photographer/fiber artist, obsessive maker and stays-up-too-late kind of thing. It’s hard work, but most of the time it’s rewarding. Sometimes, it’s even interesting. Possibly, it’s only interesting to me, but I share a little bit about it all here. I’m married to my soul mate and best friend. We made a pretty fantastic small person together. We live in a house that used to be a hunting cabin. It’s made out of old telephone poles, among other things. It’s a work in progress. Like we are. 3 goats, 11 ducks, 2 goldfish, 2 axolotls, 2 cats, and a bin full of worms also live here. The 3 goats love anyone who brings them raisins and/or peanuts; the 11 ducks will run away from you and then talk loudly about it; the 2 goldfish swim ’round and ’round a pirate ship and then do it some more; the 2 axolotls wiggle their gills when they’re happy to see you; the 2 cats will eat any projects that involve tape, silicone, or beeswax; and the worms will eat whatever we didn’t. Anyway, come back sometime for a recipe or a poem or a cup of tea. I like my earl grey with honey and raw milk. How do you take yours? have a wonderful weekend with “my kids Sam and Lizzy..
Glenda, thank you so much! We did have a wonderful time and it was so great to finally meet Sam. He’s very sweet and my dear Liz is so happy. I hope to meet you sometime soon, also! I’m so excited to have found your blog! 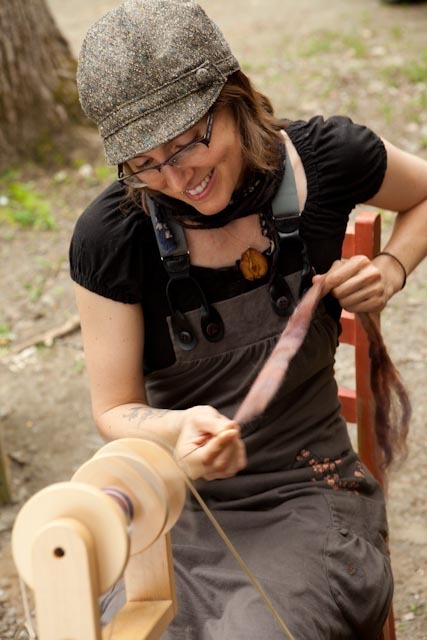 I haven’t throughly explored the site yet, but I wonder if you ever teach spinning workshops in Vermont? I will be teaching workshops and private lessons in my studio starting in March! Only one cat? I thought there were two when we called by? Beautiful writing Shannon! First chance I’ve gotten to really read your blog. I remember u saying that u might come fur a visit to ca. I’d love fir you to meet my boys!!! I have couple of aunts who’ve knitted some clothes for them and every time I put them in their knits I think”I should knit something.” Then I think of you.